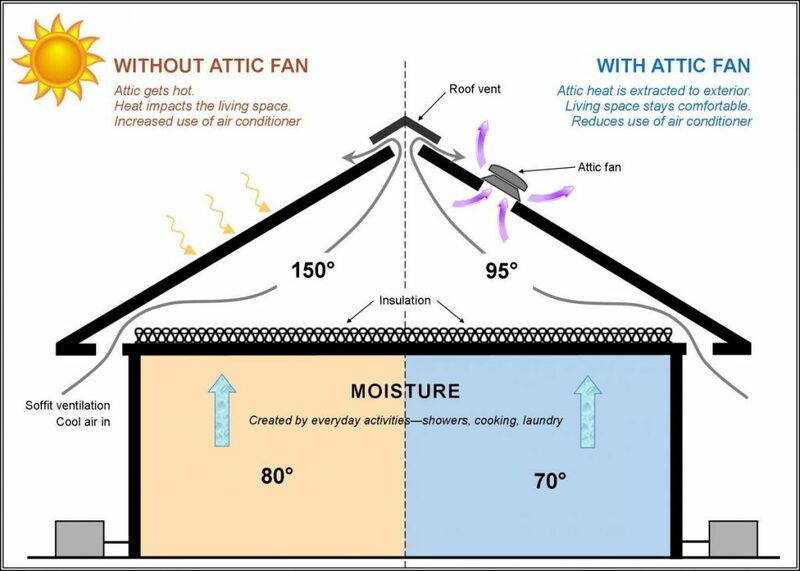 Attic fans allow further ventilation. Through a set thermostat, the fan will automatically cut on and off exhausting hot air when needed. An attic fan or whole house fan can assist in keeping your home cool without much energy consumption. It also provides fresh air throughout the home by pulling cool fresh outdoor air in and pushing hot stale indoor air out.